A number of years ago I joined my younger brother, Dwayne, for a travel back in time, to places that were important to our youthful formation. This visit turned out to be one of the best I’ve had with my brother, and the highlight was the day we drove to a remote portion of Priest Lake, where our grandfather had built a lake cabin. It was the first time I’d been there since my senior year in high school. The place was just as I’d remembered it, with the cabin still the same color my grandfather had chosen, and Priest Lake, with the snow capped mountains off in the distance, and the little island just off shore, just as tranquil as the first time I had walked on that beach, soon after my grandparents had purchased the property from the Idaho Department of Forestry. I remember camping in a tent, while my grandfather began clearing trees, and selecting the site where he’d build his lake home. The photo of me standing next to the dock is especially meaningful for me, for it was this dock that served as my special place of solitude, as a sixteen year old. I would spend hours sitting in a deck chair, alone, praying, and reading the Bible and theological works. 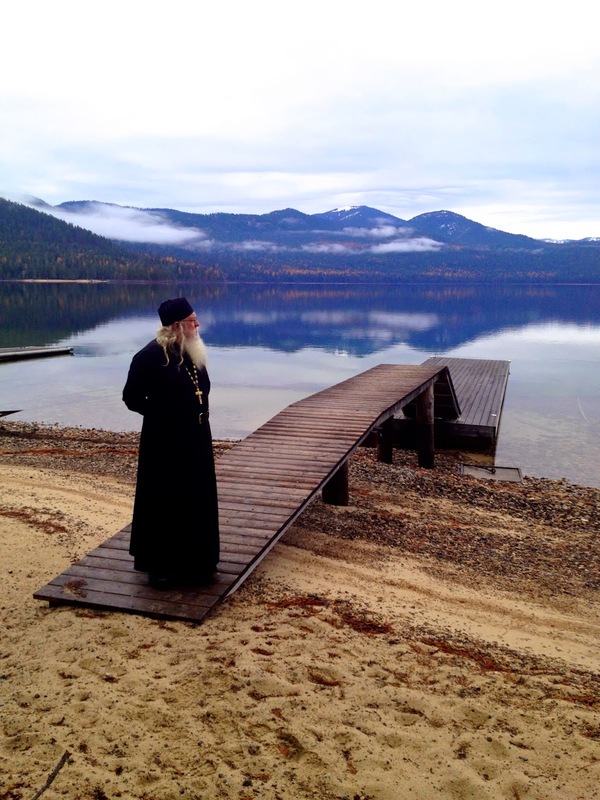 It was on this dock that I first experienced the contemplative life, and sensed God calling me to be a monk. This beach overwhelmed me with memories of my youth, for it was here where I first felt the desire to wear a black robe, and live a life that would be focused on communing with God. It was this place where God first instilled in me a desire to spend my future in solitude, prayer, and community, as a monk. No longer a sixteen year old with dreams, but a seventy-three year old monk, wearing that black robe, and gazing out at the beauty that first instilled in me a desire to live a life in communion with God, as a monk. Photos: My grandfather’s dock and lakeside cabin, located on Priest Lake in Northern Idaho. The Meeting of the Mother of God and Saint Elizabeth (movable Feast on March 30. If March 30 should fall between Lazarus Saturday and Pascha, however, the Feast is transferred to Bright Friday). Venerable John (Climacus) of Sinai, author of The Ladder (649). St. Sophronius, bishop of Irkutsk (1771). Prophet Joad (I Kings 13:11 -10th c. BC ) who dwelt in Bethel. Holy Apostles Sosthenes, Apollos, Cephas, Caesar, and Epaphroditus, of the Seventy (1st c.). St. Eubula, mother of St. Panteleimon (304). Venerable John the Silent of St. Sabbas monastery (558). Venerable Zosimas, bishop of Syracuse (662). St. John II, patriarch of Jerusalem (5th c.). Hieromartyr Zacharias, bishop of Corinth (1684). St. Osburga of Coventry, virgin (1015) (Celtic & British). Translation of the relics of the Martyr-King Edmund of East Anglia (Celtic & British). Venerable John the Hermit of Cilicia (4th c.). And concerning the work of My hands, you command Me. And all their host I have commanded. And they shall bow down to you. O God of Israel, the Savior! Who are makers of idols. And with dishonor comes reproach. Hello Fr. Tryphon, greetings on this Friday of the fifth week of the Great Fast. Just a few lines for now, I am Floyd Frantz, the OCMC missionary that visited your monastery a few years ago. Fr. Iulian Negru from Romania was with me. It is possible that you will not remember us…..
First of all, thank you for writing the meditations. I enjoy reading them very much. 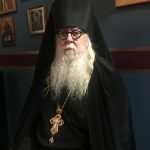 I am still in Romania, serving the Orthodox Church in setting up addictions programs, and doing education on the healing aspects of Orthodox spirituality. We treat addiction as a passion, and the Church has the right medicine, and you have some very nice writings on this subject, as an example, yesterdays. I will be transferring to two years to serve at the St. Herman of Alaska Seminary on Kodiak. 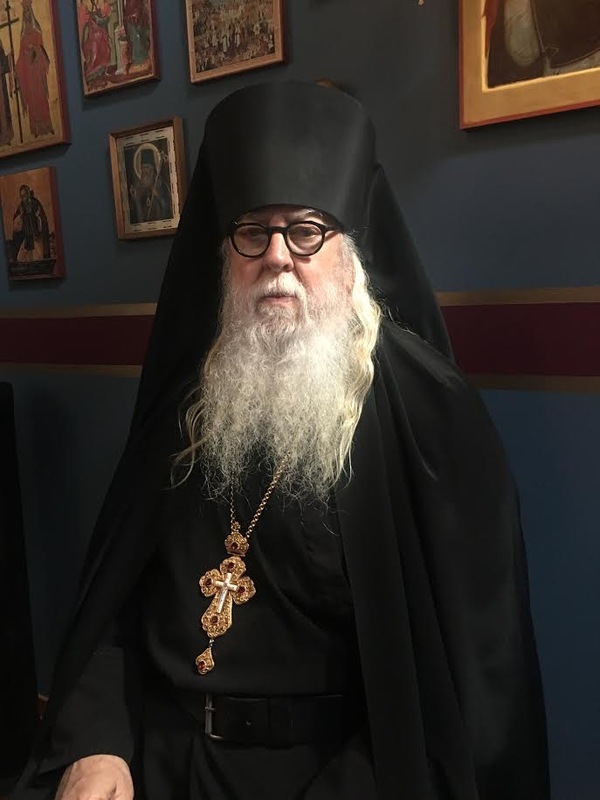 The reason I am writing is to ask if you would ever consider coming to Alaska, at the invitation of Bishop David, to talk about the healing properties of Orthodoxy, especially as it relates to addictions being a passion that only relationship with God can heal. This would be not only for the seminarians, but for also for the clergy of the OCA in Alaska. Of course I remember all of you! It would be a joy for me. As close as I live to Alaska, I’ve never been there, and to be asked to come to speak would be a great blessing for me. I would be honored to come to Alaska, if invited. As close as we are to the State of Alaska, I have never been there. How special this beautiful place is for you…..thanks for sharing! Thank you for sharing this special place with us. It is a peaceful memory.